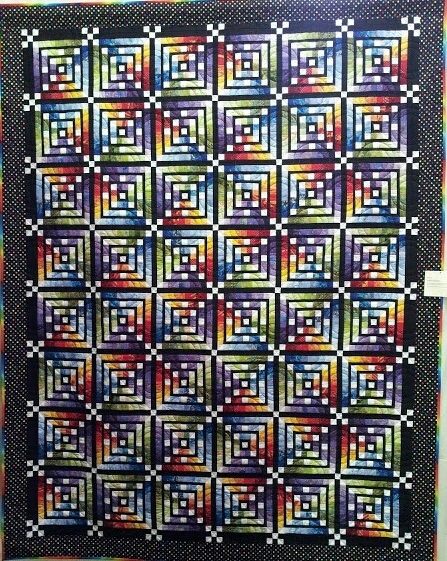 Well, I entered them both in our local quilt show, 'The Great Northern Quilt Show' in Harrogate this past weekend. I am delighted to say that they both won ribbons. 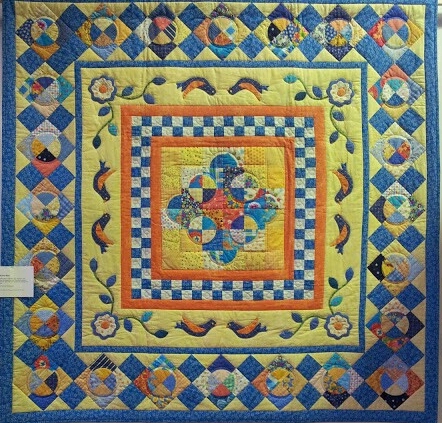 My dresden plate quilt won 1st prize in the bed quilt category and my blue and brown one won 1st prize for longarm quilting and also a judges merit ribbon. I'm even more delighted that my Dresden plate quilt sold with all proceeds going to the Hospice that looked after my Dad in his last month of life. All in all, a very good weekend. I just want to say thank you to KarolAnn for taking the above photos - it's hard to take a photo of yourself!!! 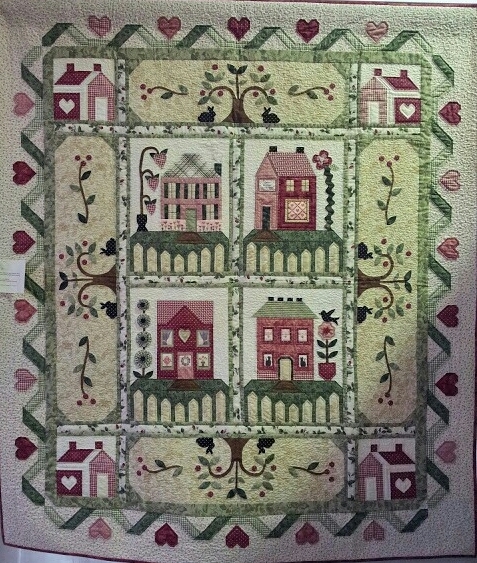 Check out her blog for a lovely collage of quilts that were on show. I will also post a few for you to look at. 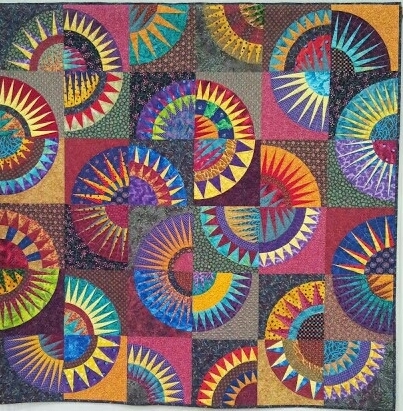 So many talented quilters out there.....enjoy. Congratulations Chris - well deserved. 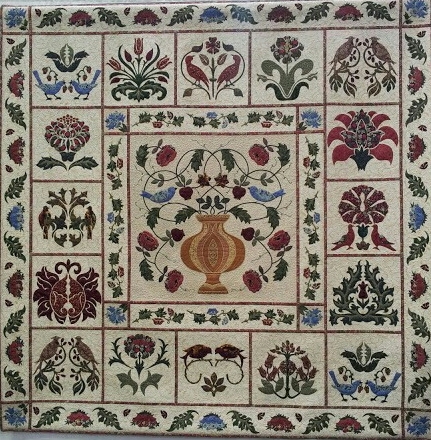 When we were there were lots of admiring people round your blue and brown one - it's one of my favourite quilts. 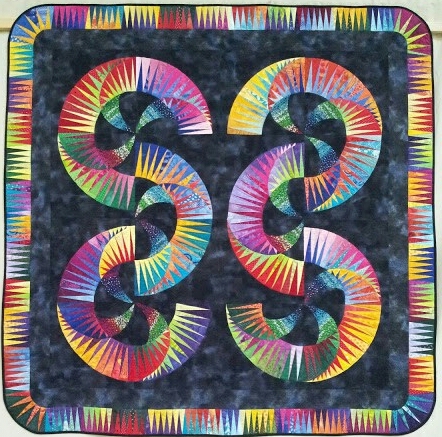 So many beautiful and inspiring quilts, thanks for sharing. Oh congratulations, there are some really amazing ones there! It was lovely to see you and your wins were well-deserved!!! Chris, I found you through Pinterest. 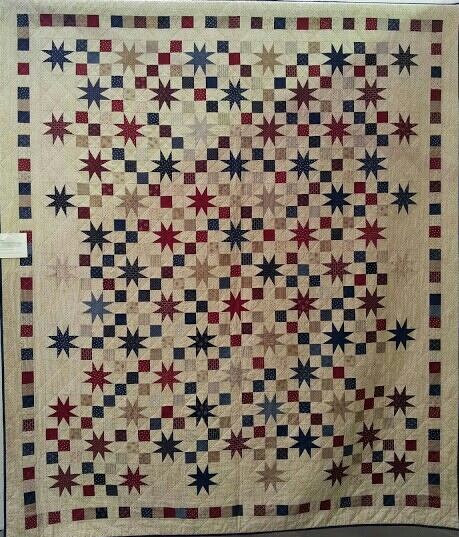 I saw your lovely Dresden quilt and your lovely story associated with it. I see that it's coming up on a year since your entry in the quilt show. 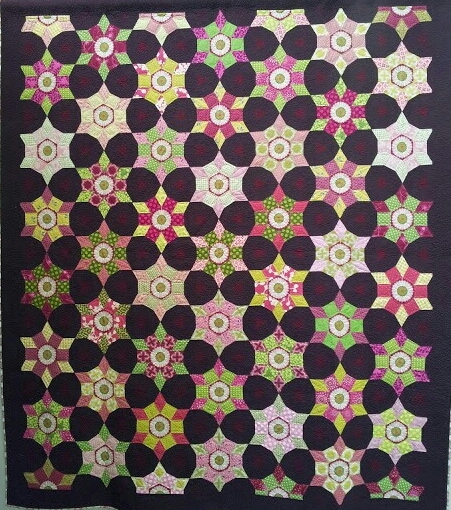 I just entered my first two quilts in my local quilt guild's show this year. 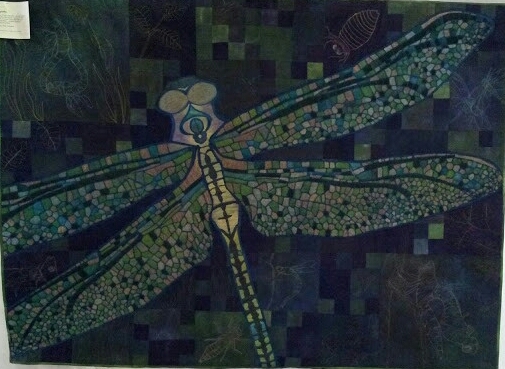 One is a mate to a quilt I made for my sister-in-law three years ago when she was ordained as as a Methodist minister. I couldn't decide if I wanted to scallop the border on mine or not. I ended up scalloping mine, too and I'm glad that I did. 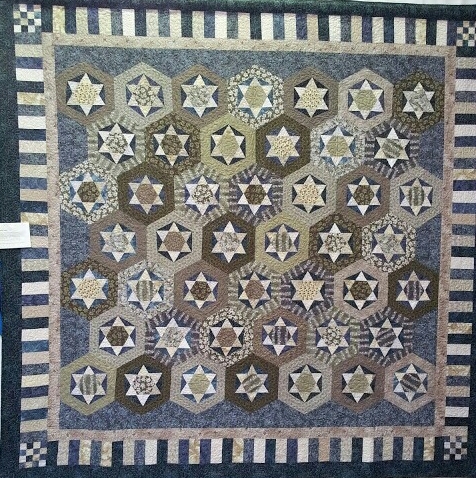 I got very good marks on every thing from the judge except the quilting. 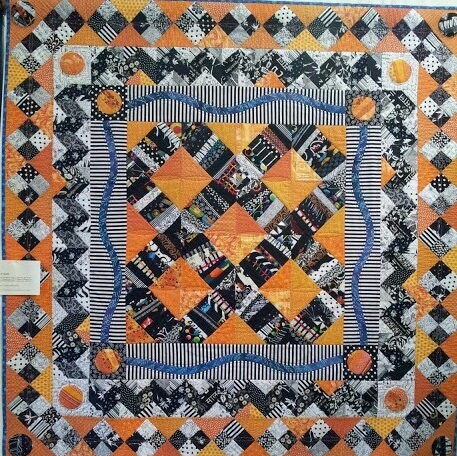 I just had a lady use a pantograph to quilt it because at the time I had no intention of entering it in a show. So, for my first show, I was elated with the remarks. The other quilt was a double wedding ring quilt made for me and my late husband by a then 89 year old friend on a treadle sewing machine. She made the king quilt in about three weeks. I had it professionally quilted and I put the binding on it. I got marked down because I did not miter the points on the binding. She is now 91 and some of her points did not match. She is remarkable for her age. She got an Honorable Mention. So, it was a good show for us. 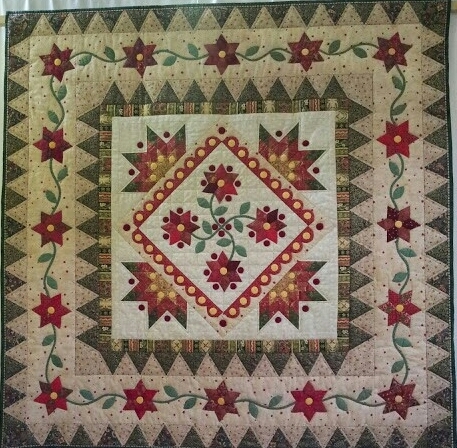 I was thrilled and it is encouraging me to do more piecing. I was thrilled with your mention of hospice. For my health, I had to divorce my husband 7 months before he died. I loved him and he would not let me get people to help me take care of him. I was starting to die trying to take care of him sice I am disable myslef. Anyhow, he was found deceased in his apartment last July 30th. My pastor and I found a lap quilt that I had made him. The binding had been worn thin from where he would sit and rub it to get comfort from the quilt I had made him. It was wound around the mechanism in his electric recliner. We were able to get it out and I washed it and have it at my house now. It is well worn and I know how much he loved it. 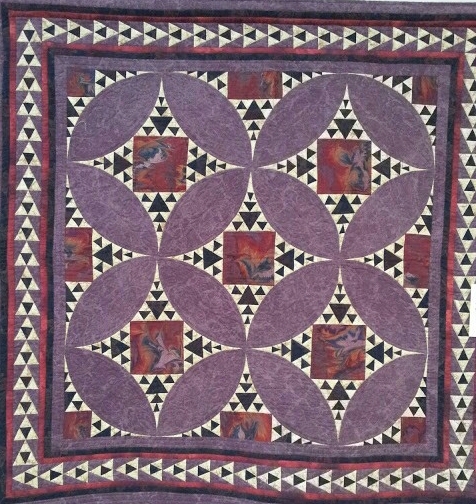 Quilts are healing to the maker and the recipient.